The Ignore archived chats feature is not available yet. WhatsApp is working on this feature from the 2.19.101 beta version and it’s not available yet for development reasons: the feature needs to get many other improvements before to be enabled for everyone. This change is enabled by default, you can notice it immediately updating to the 2.19.101 beta update. Something is coming soon for all WhatsApp platform, that will offer to users a new feature they were asking for: the feature was originally called Vacation Mode, but now its name is Ignore archived chats. 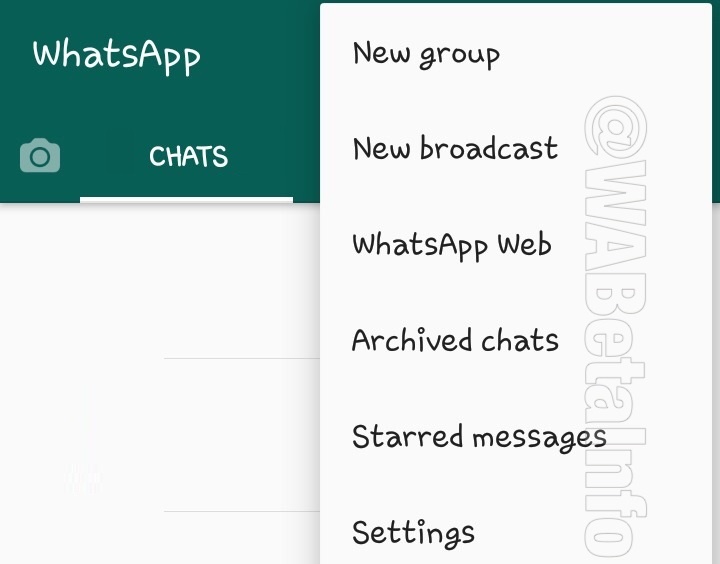 Currently, when you archive a chat, WhatsApp automatically unarchives it once a new message arrives from that chat. Thanks to the Ignore archived chats feature, things are going to change soon for archived chats: when the feature is enabled from your WhatsApp Notification Settings, archived chats won’t be unarchived when new messages arrive. 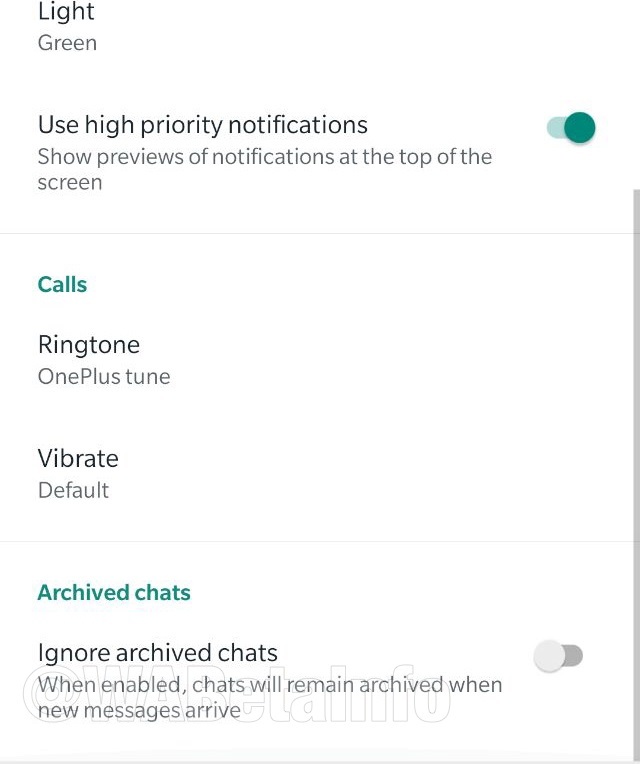 As above mentioned, the setting will be available in WhatsApp Settings, then Notifications. 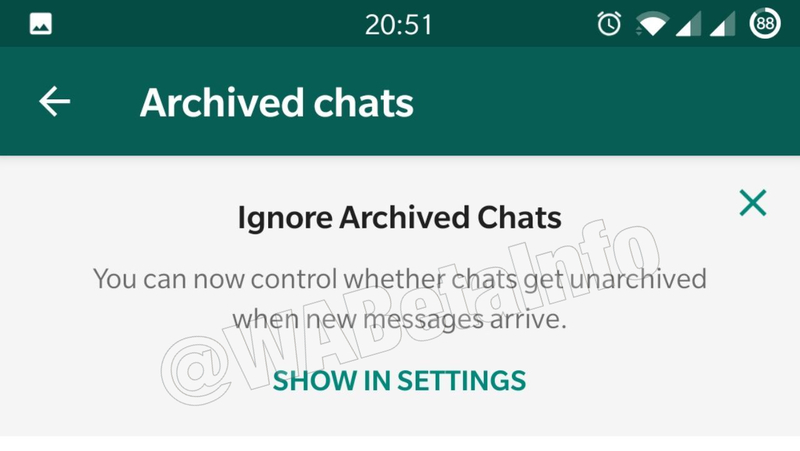 Enabling Ignore archived chats, archived chats aren’t unarchived until you will unarchive them, so something that users are asking since when WhatsApp has added the Archive Chat feature. The old Vacation Mode (under development) didn’t unarchive the archived chat if it was muted. With Ignore archived chats, muted and unmuted chats won’t be archived. We don’t know when WhatsApp is going to enable the Ignore archived chats feature. They are surely going to roll out it in future and we will be ready to announce it for you. Previous PostPrevious Spotted the WhatsApp for iPad official app, under development! Next PostNext WhatsApp beta for Android 2.19.106: what’s new?